At Little Star, Applied Behavior Analysis (ABA) therapy is individualized to each child based on an initial assessment (e.g. ABLLS-R, VB-MAPP, AFLS, Essential for Living, Functional Assessments, etc.). 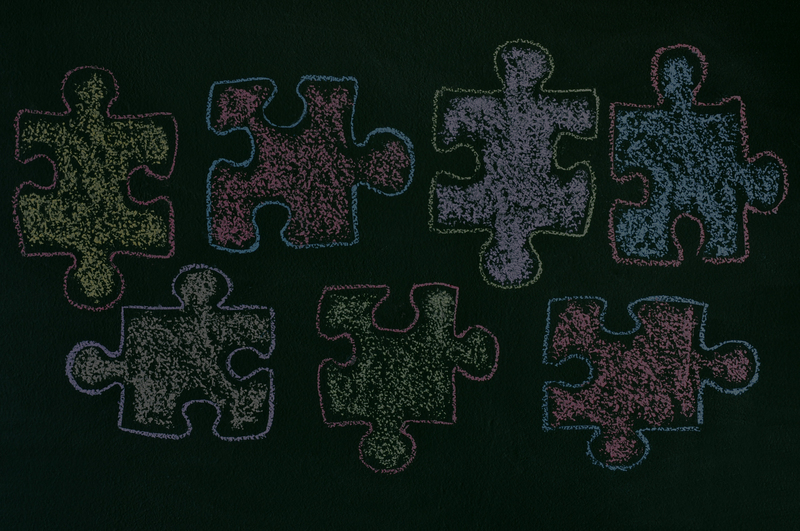 An individualized acquisition program is created based on the assessment(s) and may incorporate other academic goals such as the Common Core and Sunshine State Standards. Specific behavior plans will be developed by Board Certified Behavior Analysts (BCBAs) to target problem behaviors unique to each child. Functional and independent living skills are incorporated into the child’s daily school routine. ABLLS-R: Please visit behavior-consultant.com/whatablls.htm for more information on the Assessment of Basic Language and Learning Skills- Revised. VB-MAPP: Please visit marksundberg.com/vb-mapp.htm for more information on the Verbal Behavior- Milestones Assessment and Placement Program. AFLS: Please visit partingtonbehavioranalyst.com/products/afls/ for more information on the Assessment of Functional Living Skills. Each child’s individualized comprehensive program may consist of academic goals, language and communication skills, social skills, behavior intervention, self-help skills, and/or any other skill deficits or excesses that need to be addressed. Once new skills have been acquired, they are then put into a maintenance program where they will be assessed on a weekly or monthly basis to make sure students are maintaining all acquired skills and not regressing. We feel it is important for each student to generalize and maintain skills learned. We provide the following Applied Behavior Analysis (ABA) therapy ratios for children age 2-12 years in a center-based setting. ABA works to systematically change behavior based on the principles of learning derived from behavioral psychology. ABA encourages positive behaviors and discourages inappropriate behaviors. In addition, ABA teaches new skills and applies those skills to new situations. 1 on 1 (1:1) ratio: In this ratio your child will be with one behavior technician for the day. Typically, your child will be paired with two different behavior technicians during a five-day school week. Your child will receive intensive training during the day on his/her individualized program that has been developed by the BCBA. This program can consist of VB-MAPP, ABLLS-R, AFLS or other academic targets. This ratio is ideal for children who engage in maladaptive behaviors, exhibit limited language, and learning skills which can be developed and increased in this specific ratio. 2 on 1 (2:1) ratio: In this ratio your child will be with one behavior technician and will be paired with one other student who is at a similar level academically and socially. Typically, your child will be paired with two different behavior technicians during a five-day school week. During the day time is divided between each student. This ratio is based on lower levels of maladaptive behaviors and an increased independence in daily living skills. Your child will receive training during the day on his individualized program that has been developed by the BCBA. This program consists of VB-MAPP, ABLLS-R, AFLS or other academic targets. 6 on 2 (classroom) ratio: In this ratio your child will be with one to two different teachers and will be in a classroom setting for the entire day. Your child will follow this classroom’s schedule for the entire day and will be with his peers in the classroom. Your child will receive training during the day on his individualized program that has been developed by the BCBA. This program consists of VB-MAPP, ABLLS-R, AFLS or other academic targets. This ratio is ideal for children who have low to zero levels of maladaptive behaviors and can engage in independent tasks. Language for Learning program: During this time students will participate in a group setting with a minimum of three children. The students will be taught to comply with instructions given by one instructor, take turns answering questions, and wait for instruction and reinforcement. Each student will also work on goals from their individual program. We have a half-day program for children 18 months to 4 years old who are discovered to have or may be at risk of developing a developmental delay. Child development research has established that the rate of human learning and development is most rapid in the preschool years. Timing of intervention becomes particularly important when a child runs the risk of missing an opportunity to learn during a state of maximum readiness. If the most teachable moments or stages of greatest readiness are not taken advantage of, a child may have difficulty learning a particular skill at a later time. We work closely with parents to develop an age-appropriate program used to address specific target skills and behaviors. At Little Star, we understand that some parent work schedules may overlap with school hours. We offer before or after school care for those parents that are unable to drop-off or pick-up their child at regular school hours. Before and After School Care must be scheduled in advance to ensure sufficient staffing. Before care can be scheduled as early as 7:30 a.m. After care is available until 5:00 p.m.
Children currently enrolled at Little Star Center or students from other academic programs who need more than the academic school day are taught in a 1:1 environment after school (2 p.m. – 5 p.m.). The skills taught in the after-school program may be academic, behavioral, or communicative. The amount of supplemental therapy is based on the student’s need. Little Star Center offers an in-home therapy component to target behaviors that are not exhibited in the school environment and to teach functional skills in the home environment using applied behavior analysis. The in-home therapist will also work with the parents and caregivers to ensure that therapeutic components are carried out throughout the child’s daily routine. Unique ABA Summer Camp program with an individualized maintenance program to combat regression during the 8 weeks of summer. The goal of our summer camp program is to work on skills learned during the preceding school year in order to promote skill retention during the summer break from school and give our students their best start for the upcoming school year. An individualized maintenance program is designed for each student to review previously mastered target skills and will be taught in a 2:1 ratio. Our summer camp also incorporates field trips to work on functional skills in the community. Board Certified Behavior Analysts are available for consultation services for implementation of behavioral strategies in the home, consulting services to develop educational strategies for implementation in the public school classroom, and child advocacy services in the development of an Individualized Education Plan for a student in public school. BCBA’s are available to provide supervision required by the Behavior Analyst Certification Board (BACB) for individuals interested in obtaining certification as a Board Certified Behavior Analyst (BCBA), Board Certified Assistant Behavior Analyst (BCaBA), or Registered Behavior Technician (RBT). Individual or group supervision is available. Applied Behavior Analysis (ABA) is a well-developed scientific discipline among the helping professions that focuses on the analysis, design, implementation, and evaluation of social and other environmental modifications to produce meaningful changes in human behavior. ABA includes the use of direct observation, measurement, and functional analysis of the relations between environment and behavior. ABA uses changes in environmental events, including antecedent stimuli and consequences, to produce practical and significant changes in behavior. These relevant environmental events are usually identified through a variety of specialized assessment methods. ABA is based on the fact that an individual’s behavior is determined by past and current environmental events in conjunction with organic variables such as their genetic endowment and physiological variables. Thus, when applied to developmental delays such as Autism Spectrum Disorder, ABA focuses on treating the problems of the disorder by altering the individual’s social and learning environments. Examples of applications of ABA include: building the skills and achievements of children in school settings; enhancing the development, abilities, and choices of children and adults with different kinds of disabilities; and augmenting the performance and satisfaction of employees in organizations and businesses. B. F. Skinner proposed that language is learned behavior, and that the same basic principles of behavior that constitute the foundation of applied behavior analysis apply to verbal behavior. According to Skinner, humans acquire their ability to talk and understand language much in the same way that they learn other behaviors such as reaching, grasping, crawling, and walking. Skinner chose the term “verbal behavior” for his analysis of language because the term “speech” is too limiting, and the term “language” is too general. “Verbal Behavior” includes all forms of communication such as sign language, pictures (PECS), written language, gestures, Morse Code, or any other form that verbal responses might take. The focus of verbal behavior is on individual speakers and listeners rather than the practice of a whole language community. Outside therapists (e.g. OT, SLP, PT) are welcome to use Little Star’s facilities during school hours to work with our students. 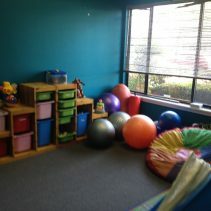 The child’s teacher will sit in on the outside therapy to learn other techniques being used and to incorporate those techniques into the child’s school day to ensure consistency throughout environments. All outside therapies are scheduled through the parents and the company providing therapy. All outside therapies at our facility must be approved through our School Directors.